If you are a homeowner who wants to sell a home quickly in a difficult real estate market, then using home staging to make the property more attractive is essential. There are new home staging trends each year to make a home look fresher so that you will have more offers. 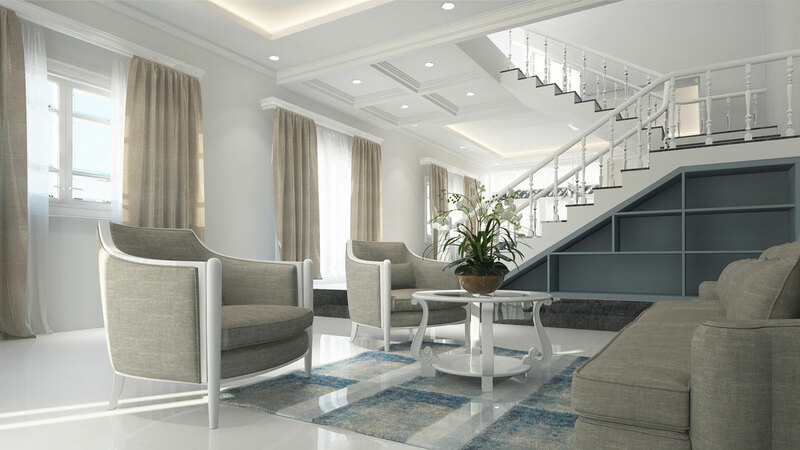 The process of staging a home includes bringing attention to its best features, but it can also include giving an older building a modern appearance. Here are some of the most common ways to stage your home in any real estate market. In the past, home designers recommended using the same type of metal throughout a home to give it a cohesive appearance. Today, it is acceptable to use different varieties of metal embellishments or accessories. This makes it easier for a professional home stager to bring items to your home to create a new ambience in each room. Alternatively, if you are staging your home on your own, you can use a mixture of lamps with metal bases or hang different metal art objects on the walls. You can use natural objects to create a modern ambience in a home. If you must replace the flooring in a home to make it look better, then select natural cork or bamboo tiles. Younger potential homebuyers are often attracted to homes that are using recycled materials, so you can use reclaimed lumber to create a unique wall hanging in a living room or you can find reclaimed pine or oak floor planks. You can also place decorative wooden bowls filled with pine cones on the end tables in a living room. New homeowners may want to move into a home right away, and with neutral color walls, a new homebuyer doesn’t need to worry about the paint color matching any of the furniture that she owns. Home staging experts recommend using beige, white or pale gray paint on the walls of a home. After a new buyer moves into a home, these colors will match almost everything, and it is also easy for the new owner to paint over these colors with a bolder color. It is important to make a home look timeless when you are trying to sell it. When you are hiring an expert to stage your home, make sure that he uses contemporary furniture that is in basic neutral colors such as black, tan or gray. If you are staging your own home, then you can cover the upholstered furniture with slipcovers to create a timeless ambience. When you have furniture such as bookshelves or desks that are an odd color, you should store these items in a different location. Using brightly colored accent prices in a home is one of the newest home staging trends this year. By using a bold color of throw pillows or artwork, you can bring attention to a particular area of a room. Having a bright color in a room will give a home a relaxing feeling that will make a potential buyer eager to make an offer. If you hire a professional home stager, then he will bring along accent items to use in your bedrooms or living room. If you are staging your own home, then look for items such as candlesticks or picture frames that you can use after you move. Potential homebuyers will want to have a spacious home, and if your home is cluttered with stuff, then the rooms will look small and cramped. Get rid of the excess furniture and accessories in a room, but you don’t make it look like a hotel room. Not only should the rooms in your home look emptier, but also, you must remove the clutter from closets and cabinets. Getting rid of your excess possessions will make your home look more attractive to anyone visiting it. Farmhouse design is one of the newest home staging trends, and it requires using decorative items such as old-fashioned advertising signs, barn doors or trestle tables. You can use vintage canning jars or mixing bowls to create a farmhouse appearance in a kitchen. Look for chalkboards with wooden frames that are easy to hang in different places in your home, and you can write words on these items to create a farmhouse ambience. If you’re looking for more home staging trends or a hard money loan, contact Prime Plus Mortgages today.